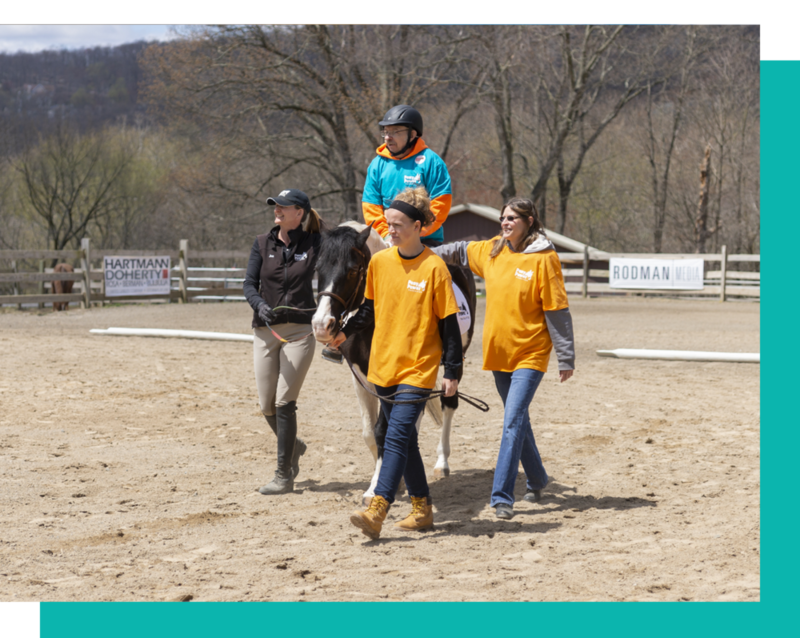 Pony Power Therapies seeks to make therapeutic horseback riding and horse-assisted activities available to as many qualifying participants as possible. Program fees only cover approximately 65 percent of our costs of providing instruction in this unique setting, and donations enable us to subsidize the remaining 35 percent. Pony Power Therapies is proud to have launched its first scholarship fund in 2016 and pleased to have named it in memory of Leo “Vinny” Viniar, whose family have been longtime supporters of our programming. The fund provides financial aid to a limited number of families, schools and agencies who have demonstrated an inability to pay the full program fee for therapeutic horseback riding or our other horse-assisted programs. “He was a very kind and gentle man, and when people met him, they instantly liked him,” said David Viniar of his late father. “Everything about him was kind and generous.” As David’s wife Susan, Pony Power's board chair, relayed stories from her time at the farm as first a volunteer and later as board chair, Vinny also came to appreciate our mission. In fact, Vinny has a namesake at the farm, a Norwegian Fjord purchased for Pony Power by Susan and David to celebrate Vinny’s 90th birthday. Upon his passing in 2015, the family requested donations to be made to Pony Power in Vinny's memory, and the response was remarkable. These gifts were “paid forward” to create our first scholarship fund and with continued support, the Leo “Vinny” Viniar Scholarship Fund can continue to grow and make Pony Power’s programming available to individuals who would not have the opportunity otherwise. Pony Power believes a strong sense of ownership and pride is developed if the recipient contributes to the cost of their involvement. Therefore, applicants will be asked to pay some portion of the fees. Documentation that you/your family receive government assistance such as TANF, WIC, SSI, disability, housing assistance, etc. The Scholarship Committee will review your application and supporting documents anonymously. All information will be kept confidential.